Set in the European region during the ice age, i.e. 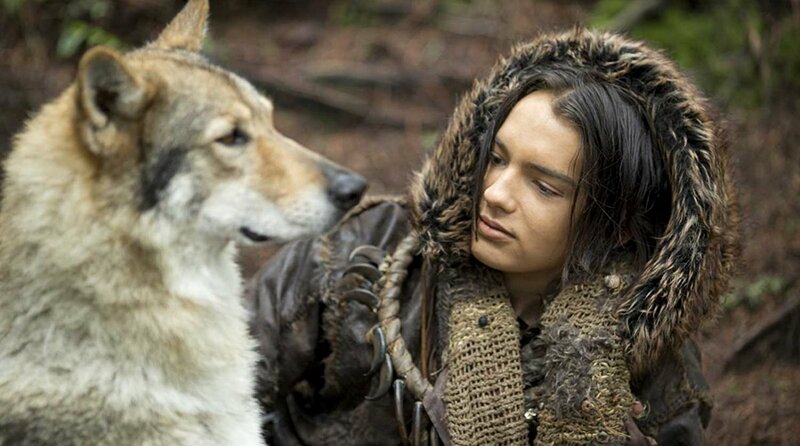 at least some 20,000 years ago, Alpha movie is the story of a teen hunter who befriends a wolf to survive, after getting separated from his family and friends who had mistakenly left him for dead. The film has opened to rave reviews, having succeeded to engage the audience with its unusual story of friendship. Shot mostly in Canada, the film with English subtitles uses a distinct language to stay true to the period it tries to bring alive, and succeeds. And many who watched the movie were left wondering what language was it. Well, the language is a fictional one. Christine Schreyer, an associate professor of anthropology at the University of British Columbia (UBC), created a new language for the movie to make it look more authentic. Schreyer, who teaches at the Okanagan campus of UBC and specialises in linguistic anthropology and language revitalization, apparently took two years to piece it together. This is however not the first time Hollywood has collaborated with the UBC linguist. And this is not the first language either that she has created for a film. For Man of Steel (2013), Schreyer developed the Kryptonian language, including the writing system used in the movie. She also created Eltarian for the 2017 Power Rangers movie. As per the UBC News report, she teaches a course at the university that examines other created languages like Star Trek’s Klingon and Avatar’s Na’vi. For Alpha, the producers’ brief to her was to “make it (the language) sound authentic, to not sound like gibberish”. To begin with, Schreyer translated three test scenes in 2015. Soon, she found herself working on creating this entire language for the one-and-a-half-hour movie. While Alpha as a movie depends heavily on cinematography and visual drama, the language does its job beautifully – adding more authenticity. The film’s main cast includes Kodi Smit-McPhee as Keda, the Palaeolithic teen protagonist, and his father Tau, played by Game of Thrones actor Jóhannes Haukur Jóhannesson. Jóhannesson can speak four languages, including Icelandic, Faroese and Danish, besides English. And he says working on the Alpha script was challenging but fun. Directed by Albert Hughes, Alpha released in the US on August 17 and opened to packed halls in India on Friday, August 23. What to Predict from Game of Thrones Last Season?